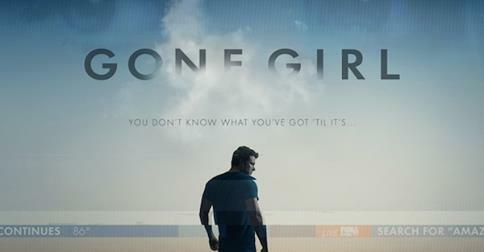 “Gone Girl” is one of those good movies that will keep your curiosity and intrigue you the whole the time. This movie was performed in three genres: drama, mystery and thriller. This movie is now in theaters. The main question of this movie is what has happened with Amy Dunne and who is guilty for her disappearance. Fincher did a great job in keeping audience’s attention during the whole movie. You may change your mind so many times and will be very surprised in the end. This movie is about a seemingly ordinary couple, who have their ups and downs except for one small distinctive detail. For her husband’s infidelity, his wife decided to make a most memorable gift on their fifth wedding anniversary. She decided to falsificate her own murder. This movie wouldn’t be that thrilling and exciting without the great acting of the cast and the fabulous director’s work in the movie. The storyline is always confusing you by jumping from current events to the past (flashbacks), which were sometimes true. However, sometimes these events were just false events from Amy’s perspective. As soon as you get a handle on what is happening, something else changes your point of view and turns the movie’s storyline to a completely other direction. The movie “Gone Girl” is based on a book of the same name that was written by Gillian Flynn and published in 2012. “The movie was as great as the book,” said Mike Vierow, who is a current student at SNU. “Wow this movie’s worth watching … who could imagine a woman, who is carefully considering her own murder and to frame her own husband in it,” said Polina Chala, tennis player and current student at SNU. This is definitely the movie to see when you want to spend 149 minutes in the movie theater.You won’t be disappointed in this movie. This movie is interesting because it is hard for ordinary people to imagine such psychological behavior and planning your own murder.